When you do a little family history from time to time and other people know about it, then you find out you get interesting phone calls or notifications when something comes up. 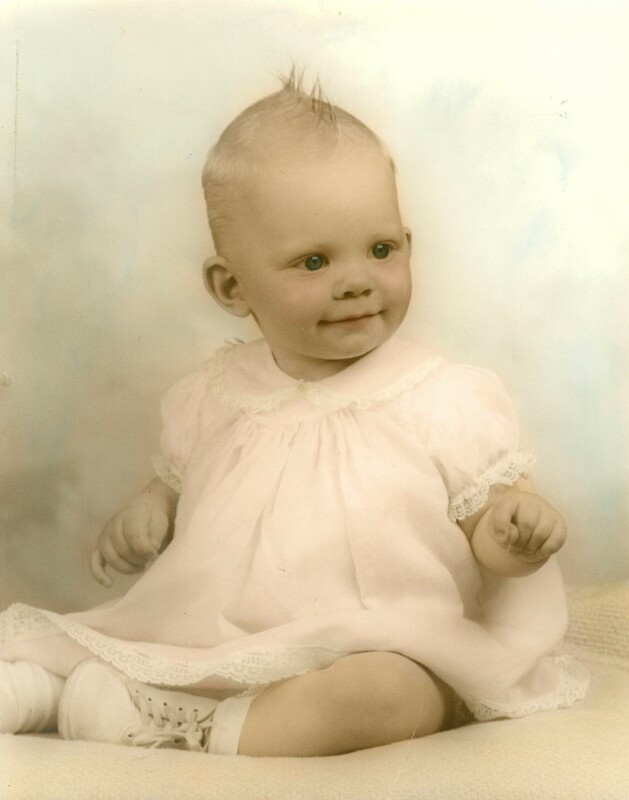 My Aunt Jackie called to let me know that she had found some photos in a box and a purse. I invited myself over to see what was there. In the process she showed me a picture of her when she was a baby. Here is the photo. It is a beautiful picture well protected and preserved in its frame. 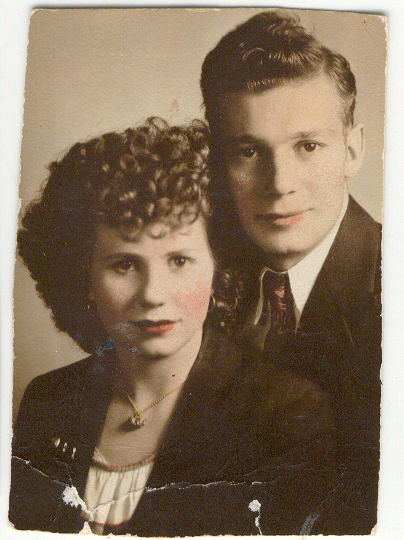 Here is a much poorer copy of the photo that I have from Great Grandma Lillian Jonas’ photo album. 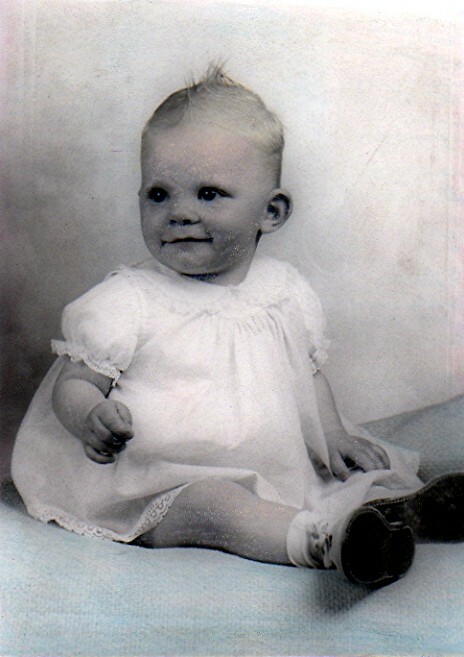 The photo Lillian had was mostly black and white and pretty small. The new photo is better quality and an 8 X 10. Unfortunately, the frame was damaged so I took the picture out so we could hopefully fix it. GUESS WHAT WAS BEHIND THAT PHOTO? This is by far the best copy I have of this photo now. The best I had before was this wallet photo with its damage. You can see it is cut, ragged, bent, and had blemishes on its face. 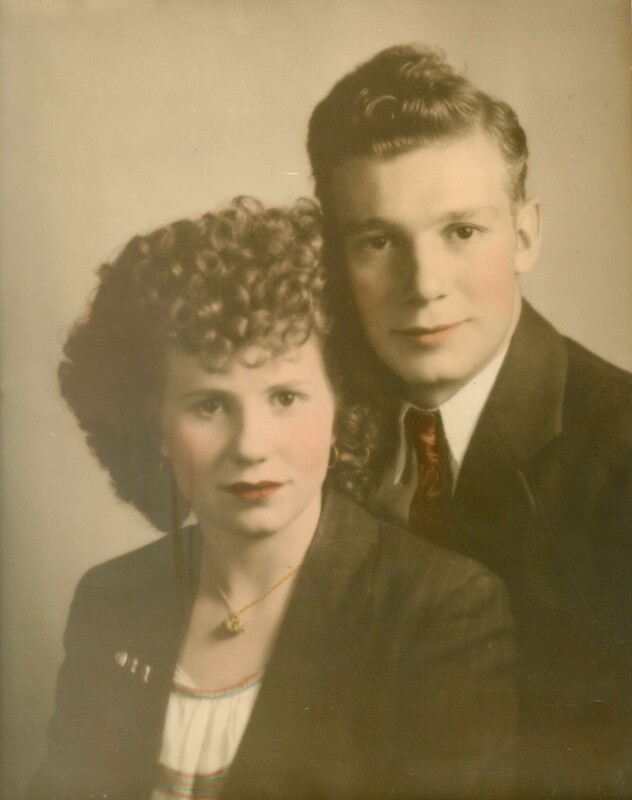 While the new photo appears to be a copy and has a haze, almost like it was a copy made from one within glass, it still gives the detail and another glimpse into the personality and soul of Grandpa and Grandma. It is the photo, I even tried a small area to see if there was a film on the photo itself. There is not. As for now it is the best quality photo I have and happy to have it in my scanned collection. Related to the purse and box, there are probably at least 100 photos there, many of them 1 X 2 or even smaller. It will take some time to scan them all and there are a few I do not recognize. Looking at the photos, I have a hunch a number of the photos came from my Great Grandpa and Grandma Andra as well as Great Grandma Jonas. As always, there is more out there. Family history is not just about the dates and information, it is about preserving the history, including photos, for later generations. With photos, it is about getting the people in them named as well so that when the people are gone, it is still known who is who. This entry was tagged Andra, Jonas, Melycher. Bookmark the permalink.